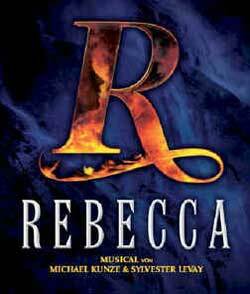 The producers have just announced that the musical Rebecca which is based on the classic novel by Daphne Du Maurier novel will open on Broadway next year on April 22nd at a Shubert theatre to be announced. Previews will begin on Tuesday, March 27 2012. Sierra Boggess (currently starring in Master Class on Broadway and soon to appear in the Phantom 25th Anniversary Concerts at the Royal Albert Hall) is in negotiations to play the role of Maxim de Winter’s new wife "I." Rebecca has original book and lyrics by Michael Kunze, music by Sylvester Levay, English book adaptation by Christopher Hampton (Sunset Boulevard), English lyrics by Hampton and Kunze and direction by Michael Blakemore (Kiss Me, Kate; City of Angeles; Noises Off) and Francesca Zambello (Little Mermaid). Multiple Tony-nominated director/choreographer Graciela Daniele is in talks to do the musical staging for the show. A couple of friends also saw the Vienna production and both said it needed a lot of work!